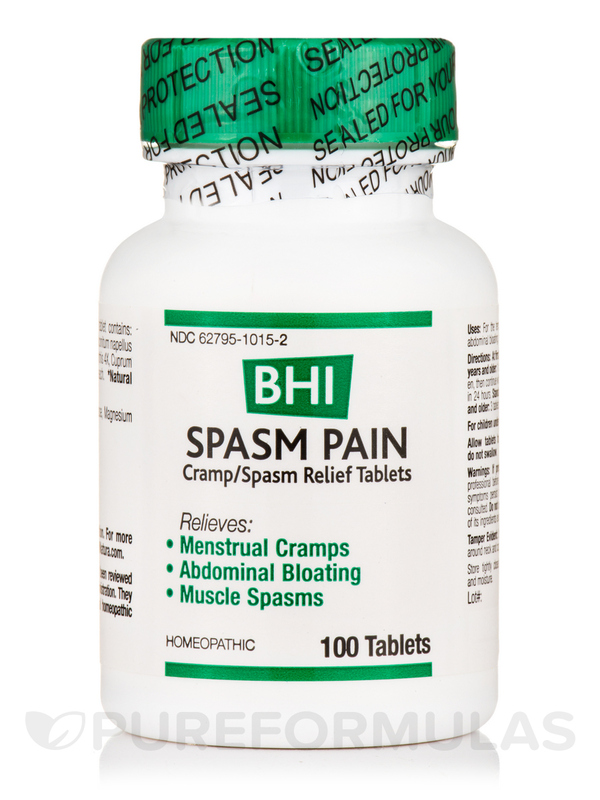 For the temporary relief of minor menstrual cramps‚ abdominal bloating‚ muscle spasms. 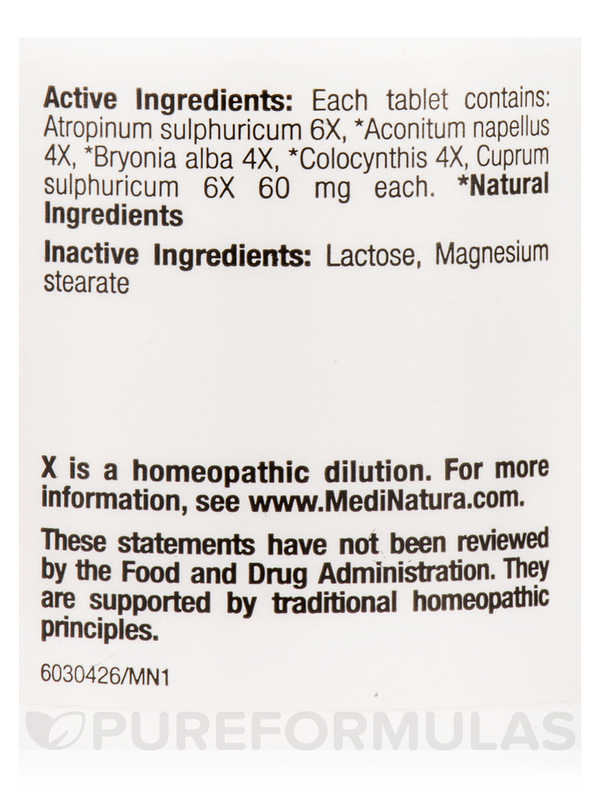 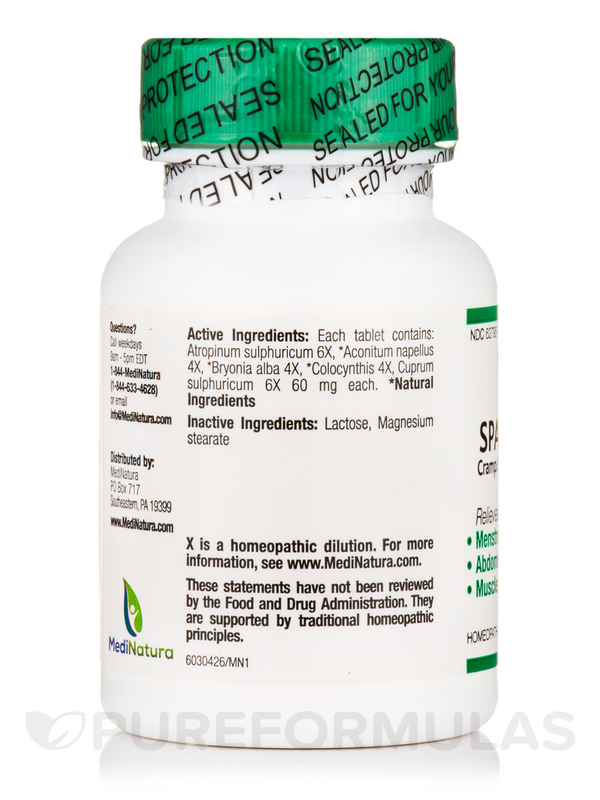 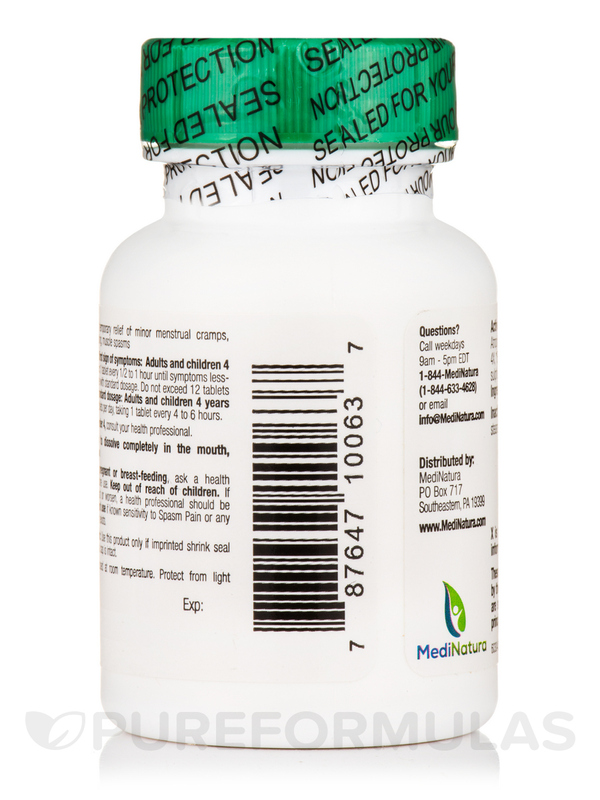 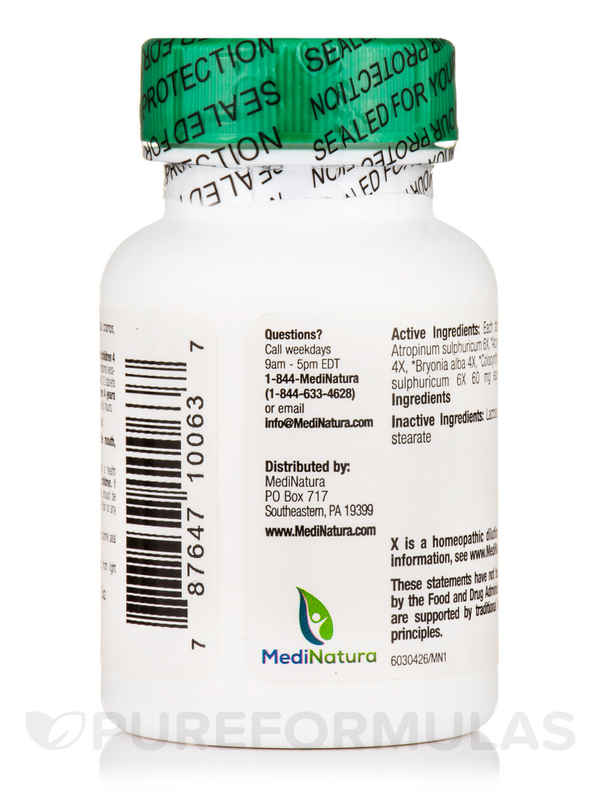 Active Ingredients: Each tablet contains: Atropinum sulphuricum 6X‚ *Aconitum napellus 4X‚ *Bryonia alba 4X‚ *Colocynthis 4X‚ Cuprum sulphuricum 6X 60mg each. 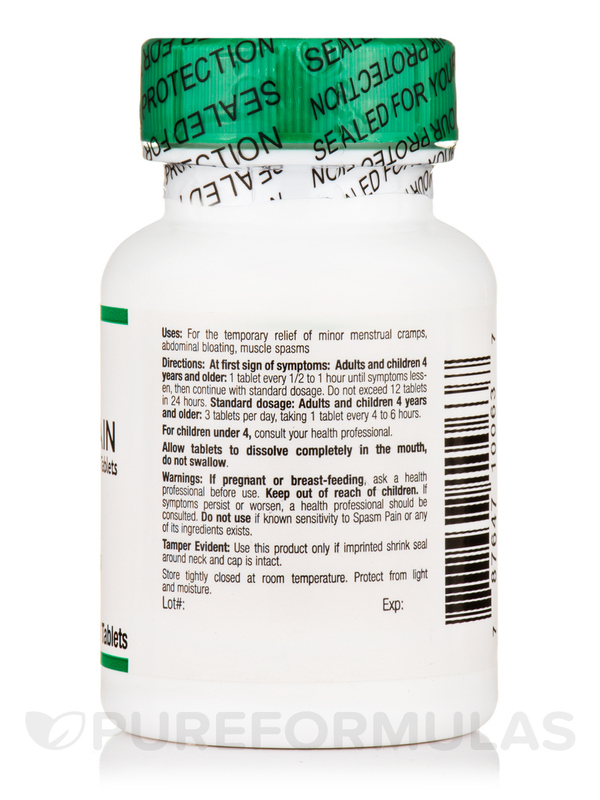 If symptoms persist or worsen‚ a health professional should be consulted. 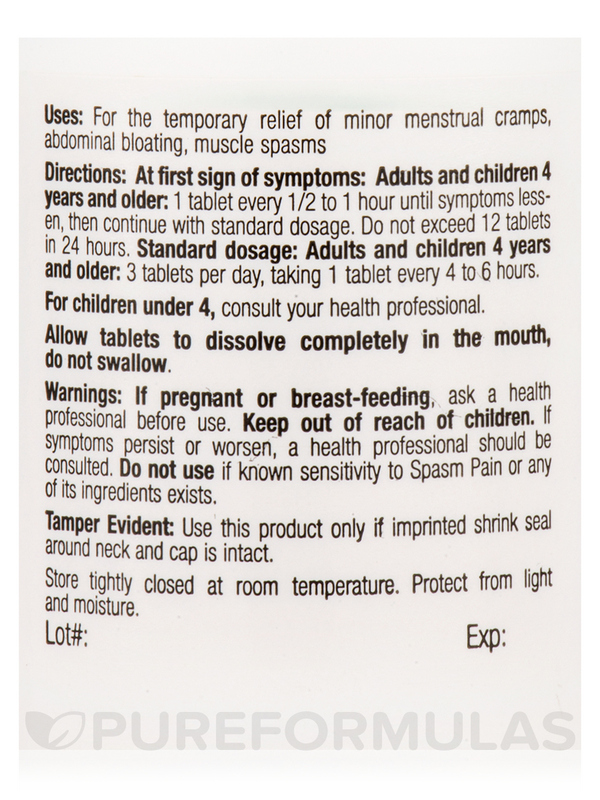 Do not use if known sensitivity to Spasm or any of its ingredients exists.